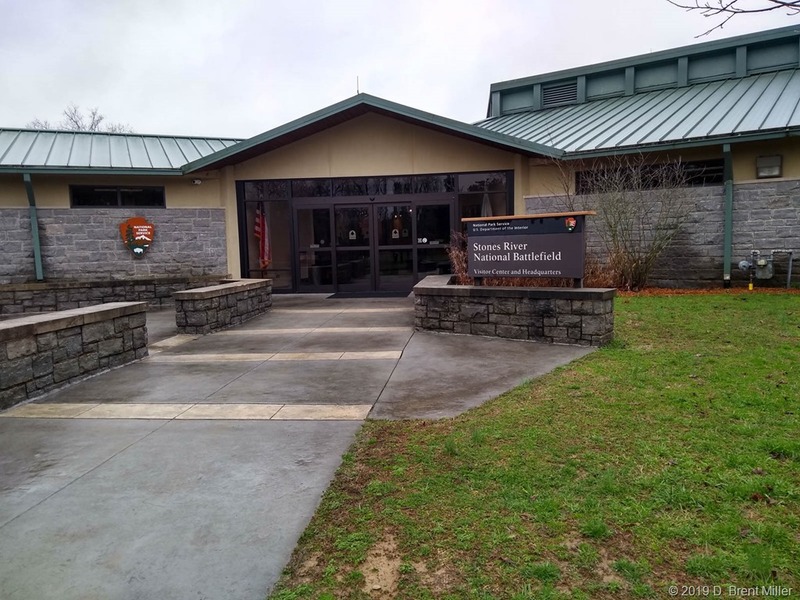 On a recent trip to Nashville, I took the time to visit the Stones River National Battlefield, at Murfreesboro, Tennessee, one of the Civil War’s biggest and bloodiest battles. Like many others, I am a student of the Civil War. It was a dark moment in our history, but one that set the course for our united nation. 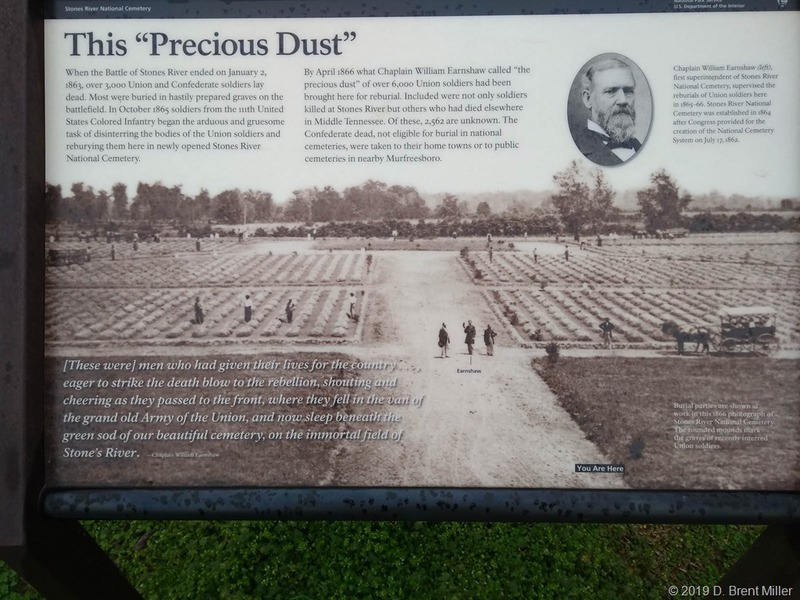 And so, I like to visit Civil War sites when I get the chance. The Stones River battle lasted three days, beginning December 31, 1862 and ending January 2, 1863. Three days. Union and Confederate forces numbered about 81,000. 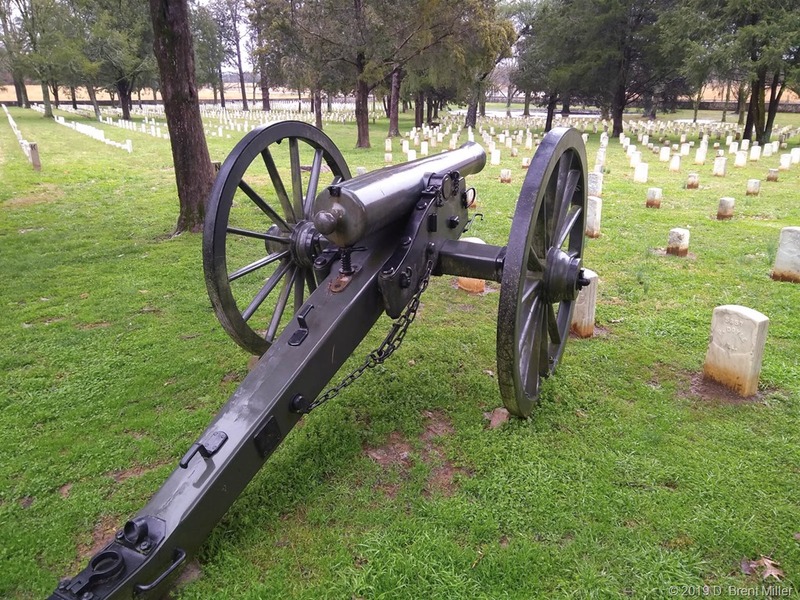 According to Stone River Battlefield information, the Union had 13,249 casualties and the Confederate forces suffered 10,266, with the Union declaring victory as the Confederates retreated. That’s nearly 24,000 casualties in three days of fierce battle. To put that in perspective, there were about 58,000 military fatal casualties in the entirety of the Vietnam Conflict, 1955-1975. 24,000 in three days. It was a blood bath on both sides with each side losing about one-third of their troops. 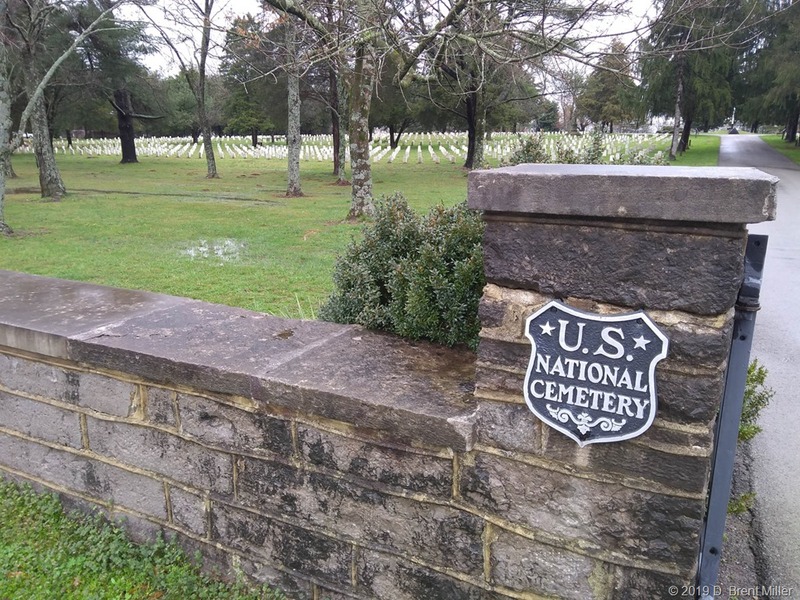 Many of the Union soldiers who died are buried across the street from the Visitor’s Center in the National Cemetery. It is a somber place to visit. Hallowed ground. 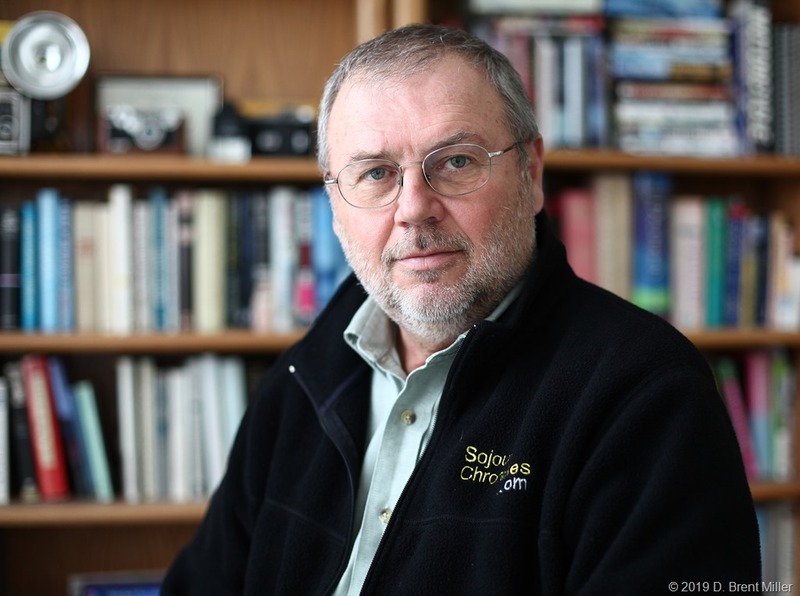 During the recent cold snap, when night time temperatures were near zero, I decided to throw on an extra layer of warmth. I grabbed Grandma’s quilt and laid it on top of the bed. That’s when I began to reminisce. Grandma Arvilla passed away in 1962 of cancer. She was survived by Grandpa Archie, and four children, Betty, Dorothy, my Mom Jolene, and Charles. 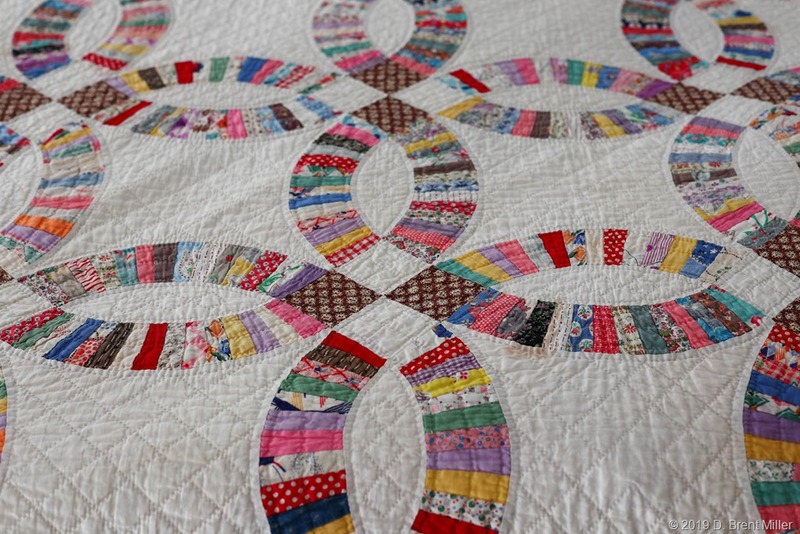 The story Mom told was that Grandma, a quilter, had made quilts for each of the daughters and a close family friend. 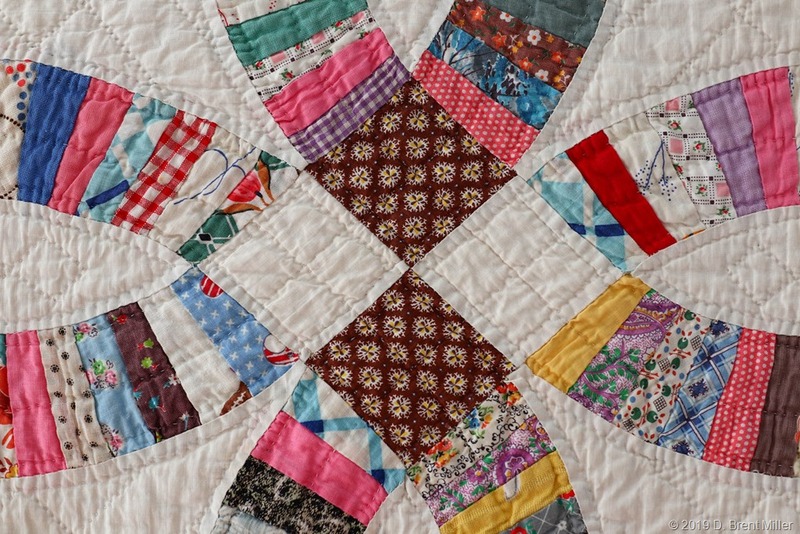 Quite a few years back, Mom gave me the quilt she had, worn and quite used. It was probably made in the late 1950s when Grandma was healthy, which makes it at least 60 years old. 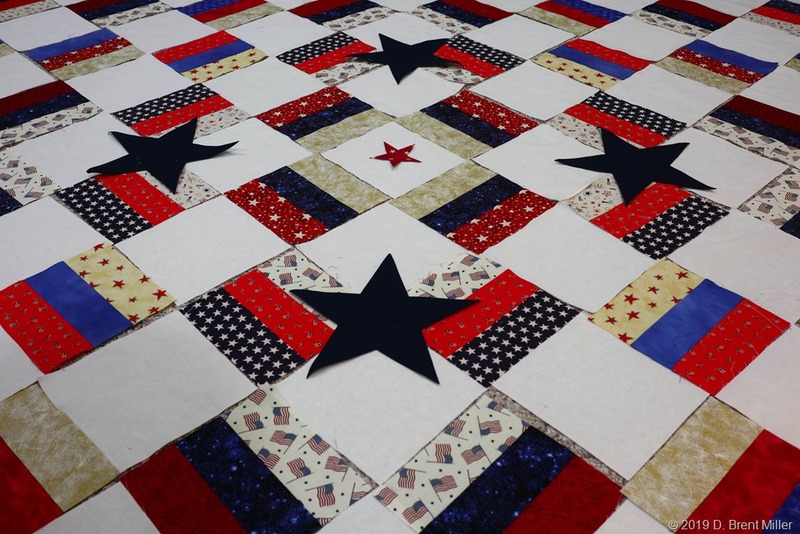 As I ran my hands over the surface of the quilt, as if spreading it evenly atop the bed, I could feel the texture of the individual pieces of cloth, and the stitches applied by hand. The design is a Double Wedding Ring, and there is some symmetry to the choice of pieces of cloth, but the selection of pieces that make up each ring have no uniformity to them. On one ring, a pink might be next to a purple, but on another ring, the same pink might be next to a floral design. The authority on quilts and quilting in our family, my wife Lin, says the quilt is definitely hand-stitched, even though the lines seem so precise. The fabric pieces could be pieces from clothing or even sack cloth. Remnants of clothing in a life that was anything but glamorous. 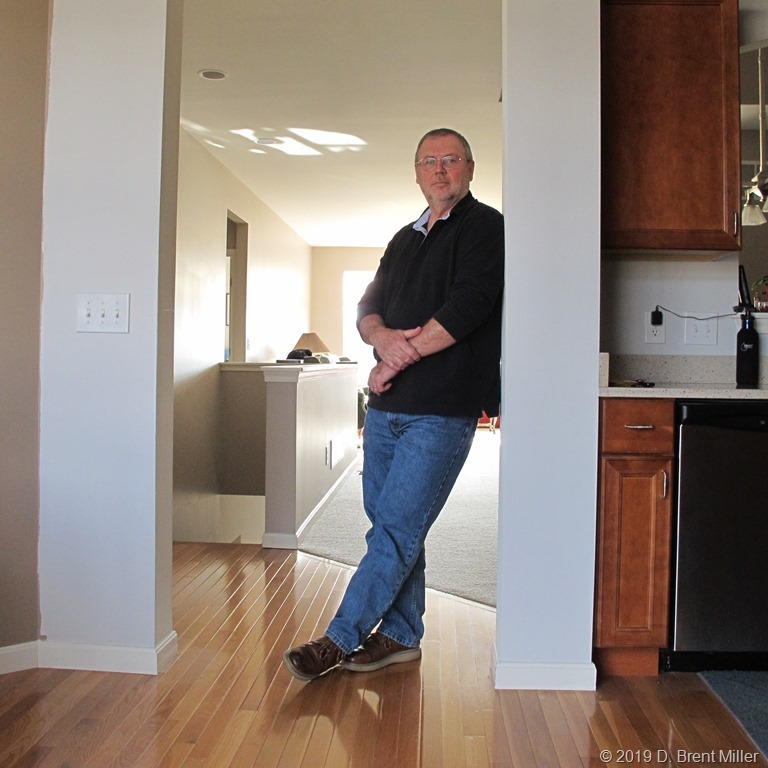 The cloth could have come from a favorite shirt, or hand-me downs no longer used. 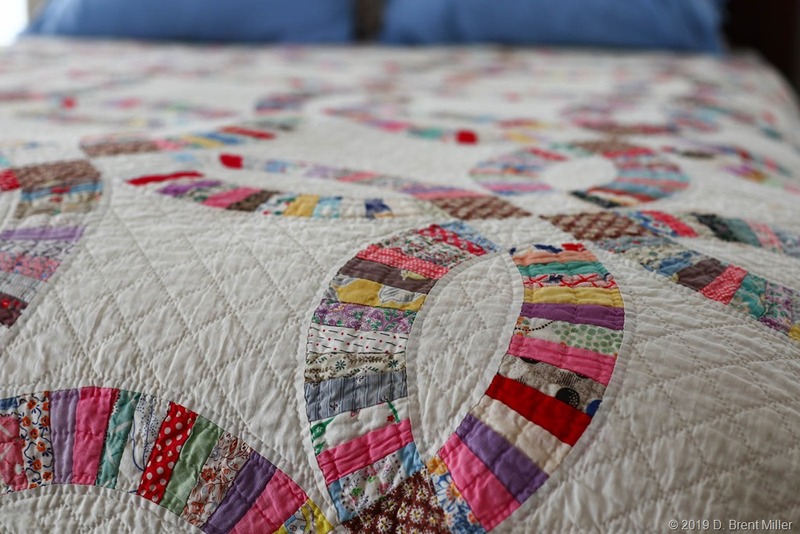 The quilt reeks with love from the maker. From loving hands. From family history. I can still picture that little frame house, sitting on a corner, with a dining room that was really more of a room for everything including quilting. Grandma’s quilt frame stood along one wall, and I vaguely recall seeing quilts-in-progress draped over its frame. I don’t know how many quilts Grandma made. I know she made one and it is in my possession. When I lay under it at night, I sleep with its warmth and the love of family.